Hi! 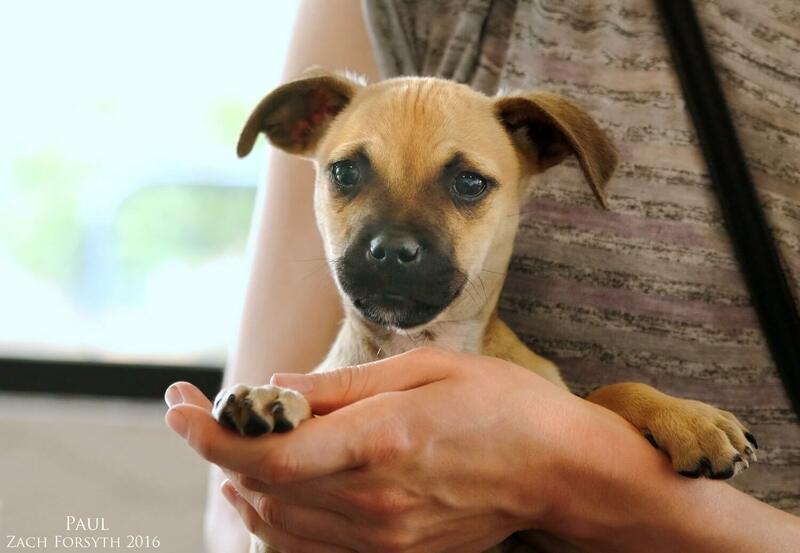 My name is Paul and I am just the cutest little shepherd mix puppy that you have ever seen! At 8 weeks young, I am still learning all about the world and everything in it! But I am a fast learner and with your help, patience and understanding, I will grow up to be the well mannered boy that I know I am going to be! PUPPY CLASSES ARE MANDATORY FOR MY ADOPTION! I enjoy meeting everyone, including dogs, cats, and kids of all ages! Are you ready to show me the world? I am so eager to see it! Fill out an application today, so we can set up a meet with my foster family! I come to you neutered, vaccinated, and micro-chipped with an adoption fee of $450.